Samsung has just made the Galaxy Tab, their upcoming tablet, official. There is a teaser video and everything. We know very little officially, but the rumors say that it would have all sorts of enviable features like 1024—600 pixel resolution, 3.2MP camera, QVGA front camera, GPS, 3G support, 802.11N WiFi, 4000 mAh battery, and 16 GB of internal storage. The teaser video appears to support the high-res screen. There is definitely a camera, as it has "augmented reality." The 7" form factor is very attractive as it makes it much more portable than a certain iProduct. 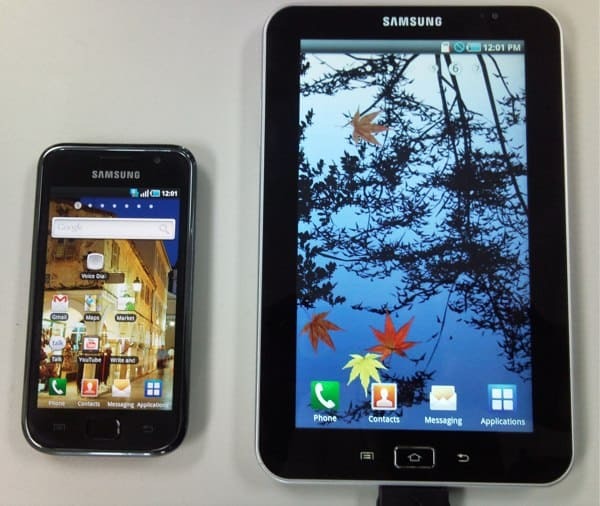 Some rumors state that the Galaxy Tab will be like the Galaxy S phones, with a release on every major carrier. According to the video, it will launch with Froyo 2.2, Flash, Touchwiz, video-calling, HD video playback, and navigation (GPS? ), and Swype. Stay tuned for Samsung's big announcement at IFA in Berlin, Germany.